As clients feel the ’lead weight in the pit of their stomach’ feeling as they contemplate leaving home, usually resigning their job and flying to New Zealand to find work in order to secure residence, I reassure them that, particularly in respect of South Africa, that they could not be talking about two more different labour markets. Our biggest challenge in NZ today is too many jobs being created and not enough people. That’s right - we, in the private sector, are creating thousands of jobs a month, and we have a government doing little or nothing to help us fill them. There’s also an Immigration Department standing in the way. The latest evidence of the difference in our labour market became clear this week when the NZ Government decided the Bay of Plenty was to be designated an official ‘labour shortage area’. This was declared because as the kiwifruit ripen on the vine, there are not enough people to pick them. We are talking about a multi-billion dollar export industry at risk because there is simply not enough people available get out there and pick and process the fruit. Tourists and those on visitor visas will be granted a variation of conditions to their ‘intended purpose’ of sightseeing and having fun, if they wish to go and earn some money, enjoy the sunshine and fresh air and get out there and work for six weeks. Can you imagine in South Africa putting a sign up on the front gate of your orchard which says ‘75 workers URGENTLY required to pick fruit - R180 - R240 per hour. You start in five minutes’. You’d need the riot squad to control the crowds. There’d be rubber bullets flying and people crushed by the hordes scrambling over one another to get up the drive way to the packing sheds. In New Zealand the sign flaps lazily in a late summer breeze, ignored. Paradoxically, at the same time we have 110,000 odd people who are collecting the unemployment benefit. Several thousand of them in the Bay of Plenty. Naturally the commentariat have had a lot to say about this the past few days. How you can reconcile unskilled labour shortages with the (largely and relatively high) unskilled unemployed numbers? Why can enough people not be found to fill the several thousand vacancies currently being advertised? Why aren’t they being ‘made’ to work in these jobs? The apologists talk about the cost of transport to get to work, the cost of renting accommodation for the picking season, the short term nature of the vacancies (2 months, although the apples needing picking follow close behind), tax abatement rates and probably the threat of melanoma (but no doubt the employers will be ‘encouraged’ to provide hats, sunscreen and insect repellant, this being New Zealand after all). The critics accuse the unemployed of being lazy and the alternatives to work, too attractive. As usual the truth lies somewhere in the middle. A good fruit picker can earn around $23.50 per hour. A newbie would start on $17.70 per hour, being the new statutory minimum wage (itself ironically pushing up rates of youth unemployment). I don’t care what anyone says, this is not the worst money in the world in the regions of New Zealand. There is a real tension in any socialist democracy between wishing to ensure those than can contribute something, do, and not forcing people, incapable for health reasons for example into work. I do sometimes wonder if the dial has gone too far toward the ‘leniency’ side and letting people make choices not conducive to their own or the country’s well-being. Or perhaps it is simpler than that - we simply have an unemployment rate that is zero (or indeed negative - more jobs than people). And if that is the case, why do we make it so hard for skilled migrants to get work visas? I do accept that many of the 110,000 unemployed are, according to a Ministry of Social Development official I quoted a few weeks ago, ‘not employable’ owing to drug, mental and physical health issues. I understand that but I am in the camp that says ‘if you have something to offer, in exchange for all the benefits we get as New Zealanders - ‘free’ health care, ‘free’ education and other forms of social assistance such as accommodation supplements - you owe it to your fellow New Zealanders to pitch in’. Our grandparents generation would have felt (and be made to feel) ashamed to be on welfare if they could work - it has however become entrenched as a right and not a privilege. And if you don’t work, don’t help as your abilities allow, I say that’s just fine but equally you should not expect the rest of us to work our butts off to make sure you don’t live on the street and go hungry. For working our butts off we do. I find the whole situation of helping tourists work for a few weeks even more difficult to accept when my team and I are helping New Zealand by assisting hundreds of very highly skilled migrants, ready and willing to risk getting on planes, come to NZ and contribute - yet they are held back by a visa system that makes it hard (or at least complex) to secure work visas. If you don’t have the job, you cannot get the work visa (the old chicken and egg). Where are their variations of conditions to take up the thousands of skilled jobs being created every month? That simple act would lead to most skills shortages (not just labour shortages) being solved within no time at all. And what skilled New Zealander is going to miss out on any opportunity when they are already working? Those same ‘foreigners’ trying to find employers who will entertain them without work visas, are now being invited to go to the Bay of Plenty and pick fruit. Given the national and sector shortages that are real, right across NZ, how about offering these highly skilled a work visa so they can secure jobs relevant to their skills sets? Are they not equally as important to the economy and arguably, at least on a ‘per worker’ basis, more valuable? Or are the Engineering, IT Artisan based, creative, Technician dependent businesses and schools somehow less ‘worthy’ than those growing fruit? I don’t get it. I just so don’t get it anymore. The whole system is upside down and there seems little political appetite or understanding of the real issues - or if they do understand the issues they have no plan or ability to fix the problems. Then get out of the way I say! If you want a problem to be solved, don’t give it to a Government or one of its Departments, overseen by politicians that come and go every few years with little to no experience in the portfolios that they head (and usually the real world of commerce). And as my very politically astute Uncle once told me, the ‘permanent Government’ - the civil service that really run the country - operate to their own agendas and realities - removed from the disciplines and competition of the private sector the rest of us inhabit. They inhibit commercial activity, they add little to nothing to our economic wellbeing. 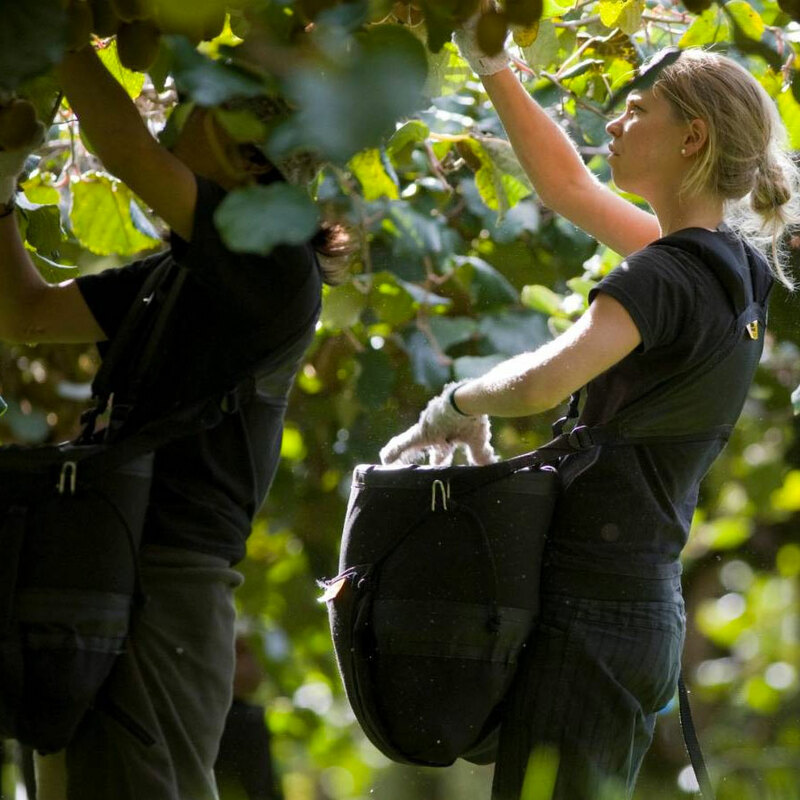 So here’s to the kiwifruit growers who might have dodged a labour shortage bullet - now what about the rest of the employers across the country, experiencing the same desperate shortages of highly skilled workers in their industries? While I'm commenting from my experience trying to secure a skilled visa Aus, your statements with regards to the leniency for the agricultural sector versus 'mainstream' skills nail it perfectly and I guess, my roadblocks apply if I tried NZ as well. "Or are the Engineering, IT Artisan based, creative, Technician dependent businesses and schools somehow less ‘worthy’ than those growing fruit?" Apparently so... Which is ridiculous. There has to be a good balance between freedom to choose and expectation of individuals to contribute. NZ is an island, and therefore critical in maintaining good balance to ensure the country maintains its way of life. No one thing must be allowed to get out of balance. I am currently attempting the skilled migrant route and have met "catch 22". As much as I would like the process to be easier, I understand the necessity of careful selection. If I were to be successful, I would make it my lifetime goal to contribute and help NZ maintain the NZ way of life. I have lived the alternative and its not so appealing. If I am unsuccessful, I will be disappointed but equally content that NZ is taking the selection process seriously. I am 100% committed to relocating with my family, interesting article to read. We have tried for months / years to relocate to NZ or Aus, always a payment here and a payment there and never anything concrete or solid in the form of ( Lets get going now ) I feels like several people / companies are piggy backing off the misfortune of White people not getting work in SA or even loosing their jobs due to certain political issues etc, there are highly qualified great people living here simply begging to leave and move to a better lifestyle for their families, however never anyone solid enough to assist in the process. I would gladly welcome a competent individuals assistance in relocating with my family, as long as its solid and secure in every way. Absolutely nailed it by IAN that's exactly the fact had witnessed, In fact was visited during January to February 2019, The process out there is pretty slow. Hope something would improve as am relocating on July end and start hunting for IT Solution Architect job. Hope something happen sooner the best. Parallel am upgrading Digital and cloud skills, I hope can bring great experience to transform NZ bank's. Keep my fingers crossed. Having taken the time and incurred the expense to visit New Zealand in the hopes of solidifying my decision to move there, it has become more evident that there is a disconnect somewhere. How can you have a country and a job market that professes to have a huge skills shortage, but then at the same time have companies that won't even give you a second look if they "feel" that you are "not we are looking for". I have 20 years experience in Project Costing, Planning and Contract Management with a Building Management and Quantity Surveying Diploma that underpins my work experience. You would think that one on the largest Construction companies in NZ, who have dozens of adds for such skills daily, would show an interest. No..not so. One then has to wonder, is NZ Immigration really the problem? Employers must accept a significant degree of responsibility for not engaging the visa process but they do not fear migrants, they do fear immigration officers and their stupidity and poisonous attitudes. There is zero doubt in my mind that it is a combination of employers who have been scared off the immigration process because of the daily nightmarish stories appearing in the press, on social media and through people like me sharing our experiences dealing with the inconsistencies and stupidity of the immigration bureaucrats. At the same time, we have a visa system that demands jobs first and work visas second which fails to inspire employers to get involved. add to that the self interest of commission driven recruiters and what you get is a whole of factors conspiring against the employment of skilled people like you. To that I'd add many migrants fail to engage professionals who know what they are doing, explain how to deal with these contradictions and barriers, don't spend enough time on the ground looking for work and so on. Remember, around 98% of my clients secure the job they need to get their points - so we seem to provide the tools and support our clients need to get that job. I would like to relocate with my family to New Zealand. my wife and I are in the pharmaceutical industry but we will be willing to do work that is available. how do we go about applying?